Video clip production The video for " È già da un po' " is completed ;-) Enjoy it! New studio The new studio is functioning well and is suitable for the new songs. 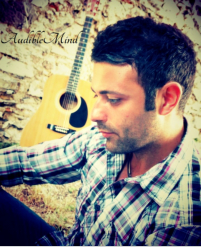 Next Single AudibleMind is about to begin work on the next song, which is a powerful rock song! Future plans The album is plant to come out at the end of 2016. Fear and courage Each of us feels during our journey the need to make a change in our fate. " È già da un po' " shows us the challenges that life presents us while you are standing there... conditioned by the fear that you prefer to remain locked up in habits. Within us we all have in our hearts a hidden warrior filled with courage, always ready to go and restart the journey. Never give up!